Man Behind Lens: You Can Have Your Cake Lapis And Eat It Too! You Can Have Your Cake Lapis And Eat It Too! Charles and Janet were the owner of the Sri Intan Malaysian & Vietnamese Cuisine in Mt Albert, Auckland. 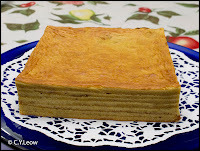 "Spekkoek (also called Spiku in some cities in Indonesia) or more popularly called lapis legit in Indonesia is a Dutch-Indonesian layered cake. It was developed during colonial times in the Dutch East Indies and may have been based on Dutch cake recipes using local ingredients. 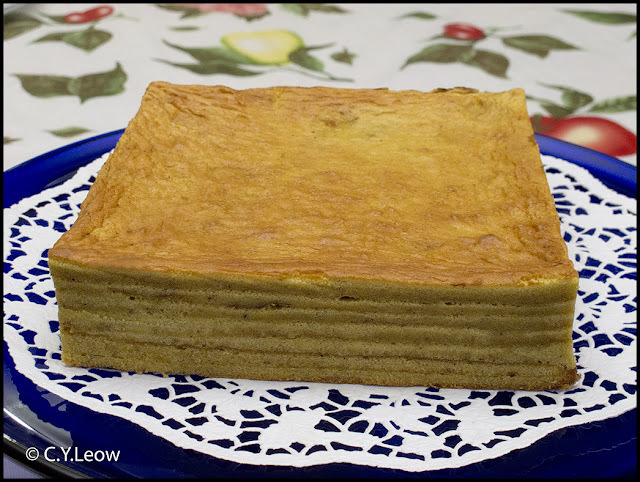 The cake may be connected to a type of Dutch biscuit called speculaas and the mixture of spices is similar to kek lapis, with the pepper being replaced with mace and anise. In Indonesia, the cake is very popularly known as lapis legit, which literally means (very) sweet layer-cake. 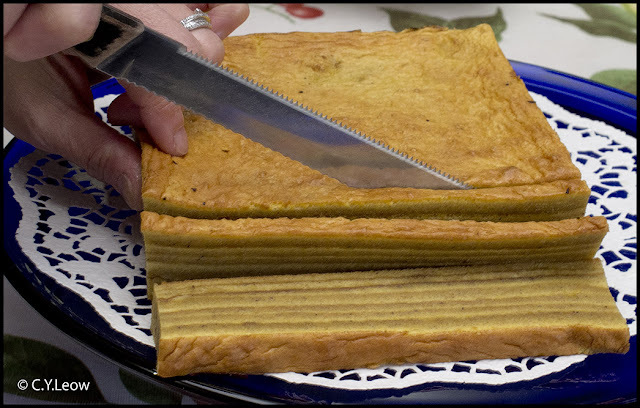 The name of the cake is derived from the typical bi-coloured layered structure which is reminiscent of bacon (lit. bacon-cake). This layered structured is achieved by using two colours of batter, dark and light, which are poured on top of the cured layer consecutively. This makes the baking of spekkoek a very labour-intensive process. In Indonesia, spekkoek is enjoyed during Chinese New Year, Eid ul-Fitr and Christmas celebrations. 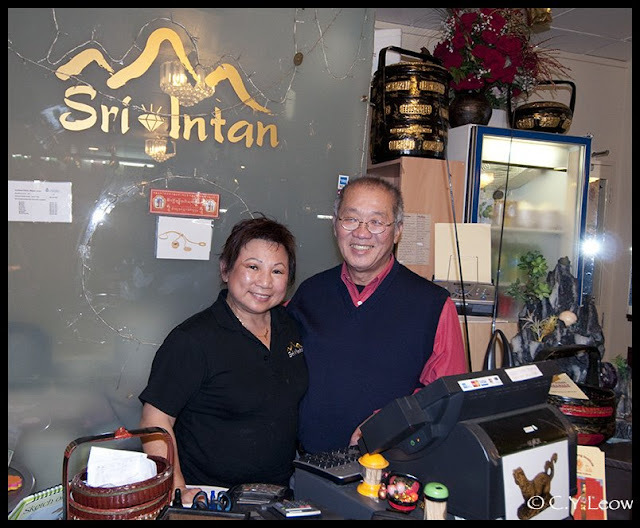 It is also served or given as gifts in many local festivities, sometimes in a birthday party and wedding." "Kek Lapis is a very unique cake where spices are added in to give the sweet aroma smell. It is a very rich cake with very high contents of eggs and butter. Therefore, it is usually served in very small pieces. Making Kek Lapis is a very tedious job but it is worth the hard work when you see the beautiful layers of the cake. More so when we see our friends and loved ones enjoying every bite of it. 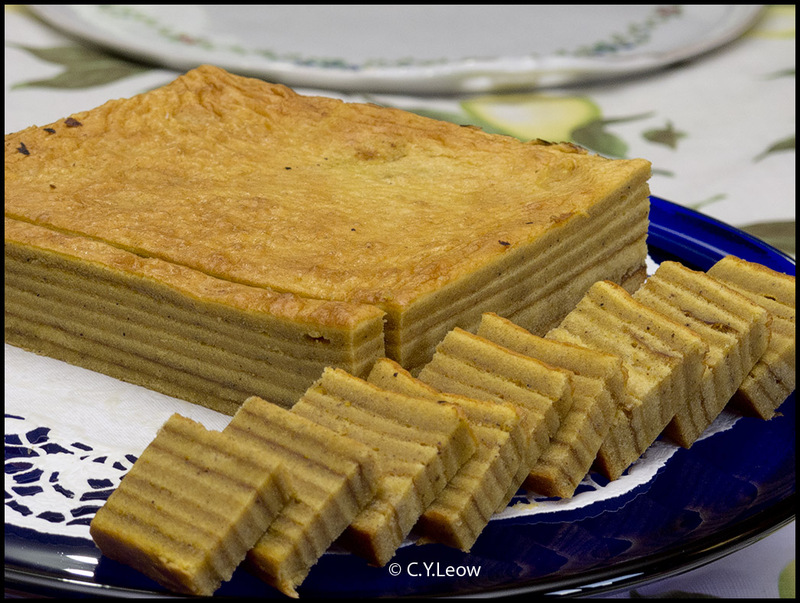 Kek Lapis is not actually a Nyonya recipe, but a great baking recipe to share with Nyonya Food readers." I invited our friends Peter and Ivy to taste Janet's creation, Ivy; herself is exceptional in baking cakes, her ultra light and fluffy Pandan Cake is to die for! Ivy sliced the very rich Lapis cake into thin slices. Well, they say "The proof of the pudding is in the eating." We all agreed Janet's cake is very moist and the texture is firm yet with just the right fluffiness. The cake is very rich, I think two slices will satisfy your craving; the rest of the cake can be kept in the freezer and left to thaw at room temperature before eating. Please tell me whether you enjoyed the cake. We used 20 eggs, cordon bleu brandy, sugar, spices etc. to make the cake. Each layer has to be baked separately one on top of the other -- takes three hours to complete one cake. It's really painstaking. It's a labour of love. Janet is selling it to friends in Auckland for $48 each. They collect from the house. She delivers to her mahjong kaki. Mei is coming to Auckland on Boxing Day for two weeks. If you have friends who are interested, she can return with one or two personally but more than that will be problematic. Basically it is for Aucklanders. So far, feedback from cake lovers here is favourable. They can call Janet on 09-8488033 or 021-948333. Thank you Charles and Janet, we really enjoyed the cake!! You lucky Aucklanders, if you crave for Kek Lapis, you know who to call! Looks like a nice cake but one which would take quite a bit of technique to make sucessfully.Looks like a very light butter cake, not as light as a sponge but with a spongey texture.I looked up the recipe and it has a lot of spice and a lot of butter but only one cup of flour..unusual!